Rust de Winter Dam has been fishing exceptionally well lately and this relative small dam certainly did not disappoint the charged-up EBASS competitors, over the weekend. The top 5 teams presented 3 bags in excess of 7 kgs each and 2 bags of 8+ kgs at the weigh station. The results were once again incredibly tight with a mere 3 grams difference between the winners and the runners-up – which resulted in a prize difference of R 3 500, which equals an unbelievable R 1 166 per gram!! The total prize money on offer for the event was a fantastic R 17 500, resulting in serious and extremely close competition on the water! Fishing on Rust De Winter once again proved to be a pleasant surprise, and judged by the amount of baitfish seen and bass landed, the fishery has definitely recovered even further compared to our last year’s event. The weather was sunny and pleasant in the early morning, with a light breeze, but the heat and humidity became just about unbearable in the afternoon. The winning bag was caught in the salad bowl and the winners fished mainly plastic lures, slowly in 6-8’ of water. They mostly fished away from the snotterbelle edge as well as the deeper big grass patches, a strategy which proved to be very successful in the end. The river produced the biggest fish of the day for the runners-up, a beautiful 2,135 mama, which they hooked between some scattered grass, in very shallow water of 1,5-2’. They spend their morning in the river fishing plastic and topwater baits, and then decided to move to the salad bowl around noon. In the salad bowl they also caught good fish off some deeper weed edges on plastics. In the afternoon a definite shallow top water bite consisting of mainly frogs and toads developed, which also produced exciting and great fishing for some competitors. F1 Grand Prix Tours, Valet Storage, BASS.co.za / World of Fishing, Biking Kilimanjaro, Escape Boating, Climbing Kilimanjaro and Bark Unlimited. Please support these sponsors to show that we do indeed appreciate their efforts. The next EBASS event will take place at Mokolo Dam. Please take note that this event is only scheduled for the second Saturday of the month, 14 April 2018 – not the first Saturday of April! 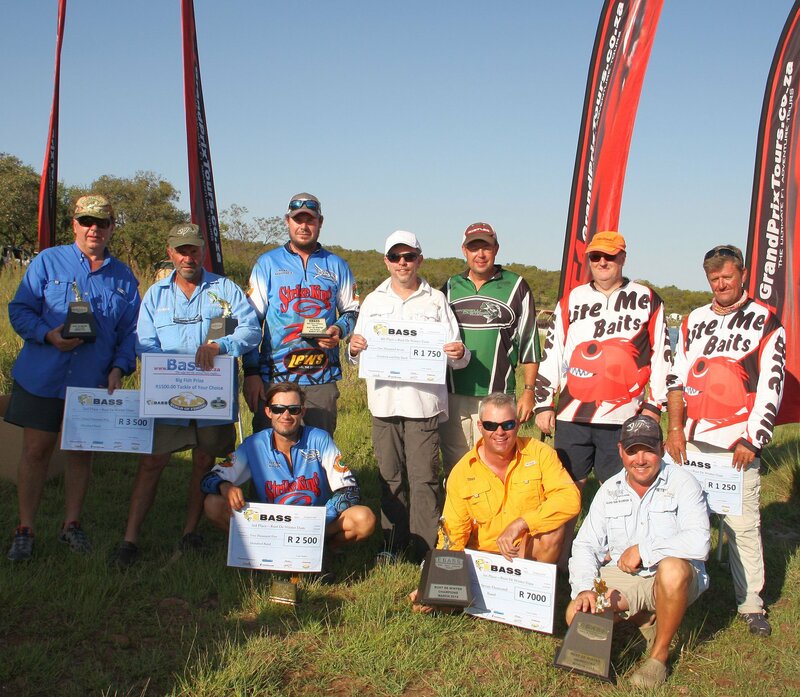 EBASS will once again accept day entries at R 600 per team. Please complete the day entry form on our website (www.ebass.co.za) and contact the EBASS committee for further event details. No Replies to "THE EBASS TRIAL – Rust De Winter Dam 2018"